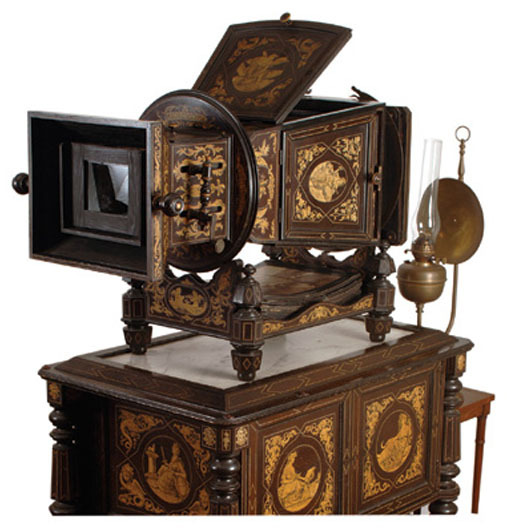 The megalethoscope is an optical apparatus designed by Carlo Ponti of Venice before 1867. The megalethoscope is the evolution of the alethoscope, invented by Ponti between 1859 and 1862. In it, photographs are viewed through a large lens, which creates the optical illusion of depth and perspective. The albumen photographs are either backlit by an internal light source—usually an oil or kerosene lantern—or lit by daylight admitted via a system of opening doors. 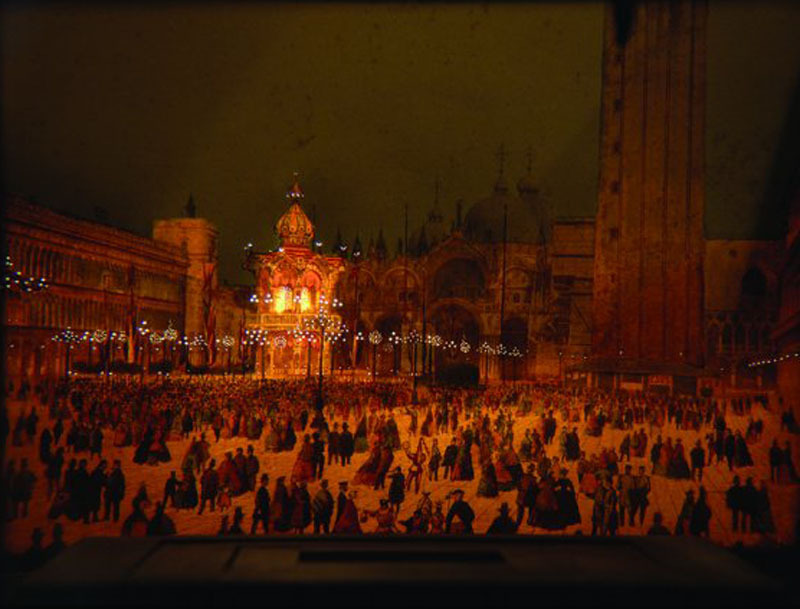 Ponti and others produced specially prepared photographs for use in the Megalethoscope. The photographs themselves were translucent and were coloured and pierced to create dramatic visual effects, such as using backlighting to create the impression of nighttime. The megalethoscope was and is often confused with the stereoscope which was of a different design and effect. However, the megalethoscope and the alethoscope are capable of a certain illusion of relief, that uses chromostereopsis.